I use a lot of geographical terms on this website, and wanted to make a quick explanation of the different words for those who may be unfamiliar. I’ll try to keep it simple and as painless as possible! *Yamanashi is sometimes grouped in Kanto. 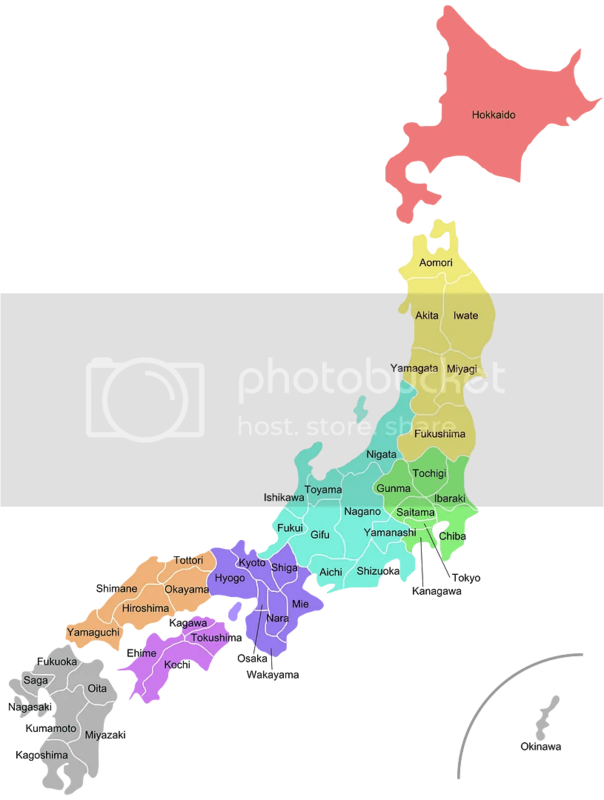 Further, the prefectures of Niigata, Ishikawa, Toyama, and Fukui (Japan Sea prefectures in the Chubu region) form the subregion of Hokuriku. I only add this particular subregion because I tend to use it, whereas the other subregion terms I don’t. Also, Kansai people sometimes don’t like Mie included in Kansai. But Mie definitely doesn’t really fit with Chubu, so… poor Mie! I hope that helps with any confusion about names I might use on this website! If you have any further questions, please feel free to ask.